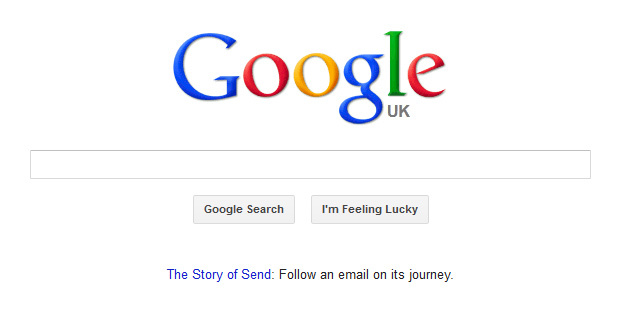 Samsung has recently started an innovative new campaign, to raise awareness of ‘Samsung Memory’. Their campaign includes three evil characters: Battery Brutus; Fiona Freeze; and Loading Ball Larry. These three characters are presented at the ultimate enemy to any techie! After all, who wants their device (be it a TV, smartphone, tablet etc.) to run out of juice, freeze or take forever to load? Samsung have been working really hard to improve user experience, which is why they have decided to launch the campaign, to let people know about it! As time goes on, more and more firms appear to be altering the way they provide their products and services in order to make them more environmentally friendly. Unfortunately there are many firms which still refuse to take environmental factors into account, however Samsung is (I am sure proud to say) not one of them! In their recent upgrades and updates, Samsung have gone that step further to ensure that your devices stay ‘alive’ longer, need fewer charges, and perform better for longer. That means you should be able to keep Battery Brutus at bay for longer! Check out the video (Samsung ad) below to see him in action. The below image shows just how much power Samsung’s devices conserve. That saving means less charges, which means less power being used, which is ultimately better for the environment! 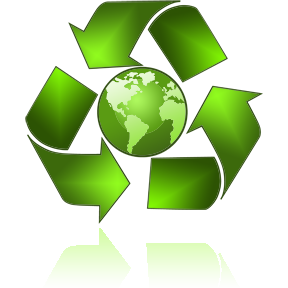 Samsung also take into account the environment in terms of the materials they use. Below is a quote directly from Samsung. Samsung’s latest devices are fitted with the high-spec memory and processors, to ensure that you can multi-task with ease, without your device freezing or loading. This means that you can also keep Fiona Freeze and Loading Ball Larry at bay! Here is the Samsung ad which features Fiona Freeze at work. The last of the characters in the Samsung campaign, Loading Ball Larry, demonstrates just how frustrating loading can sometimes be. Please don’t smash up your device though, next time it loads! To find out more about the campaign, the characters and the technology involved, please visit the Samsung Semiconductor webpage. Here I would like to review the series and look at the way people commented the individual posts, before concluding with a few lines about the experience. In my first post I introduced the idea of environmental cost. This was the measurement that I wanted to use to address the issue of pollution, and more specifically that produced through energy use. I tried to avoid the term ‘clean energy’, as I feel this overlooks certain aspects of all forms of production. Modern solar panels for example may provide clean energy from the sun but they themselves present issues during their manufacturing and disposal phases. Another point I hoped to raise is that the problem needs to be viewed from a realistic standpoint. We are not all going to convert to a zero emissions life overnight any more than we are going to return to being a hunter and collector society that lives in caves. The world will continue to operate more or less as it does now, and it is through this framework that the problem should be addressed. “I believe that each of us can help a lot in improving the health of our planet, the only problem is that we have great vision but no action. Why don’t we act first and through that action we start making some vision?” This is echoed by the quote from Gandhi that I used to open the first post, and could really be a manifesto for the series. “It seems to me that over the past decade the builders of internal combustion engines have made some great breakthroughs in generating more energy from their engines with the same amount of input and we have seen the KW output of many engines jump significantly. It would be good to see these same producers working backwards to produce smaller engines that produce an adequate amount of power from a minimal amount of fuel.” An extremely astute comment I would say. Post 3 entitled Cleaner Energy Production was one of the most commented of the series. I think this is because the technology described is on the verge of becoming commercially available, and because solar panels are now an every day piece of urban furniture. This obviously provoked discussion with the other commenters in agreement with the sentiment, some seeming to suggest that development is hindered by large corporations and governments and that although the people recognize the need for change they may be incapable of achieving it. Not all doom and gloom though and I for one am optimistic and agree with some of the brighter outlooks expressed. Post 4 was all about a report published by the Royal Society for Engineering in which they looked at possible ways of artificially cooling the planet. Again many comments were left, a couple of which raise issues that should be addressed. “In my opinion the earth has gone through many different cycles, throughout its lifetime. The earth has gone through ice ages so why would there not have been, for lack of a better word, “hot” ages. 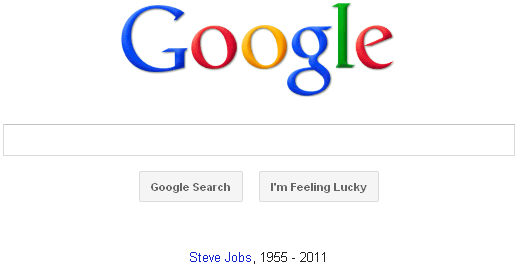 What makes today so different from the past. We are just going into yet another cycle. Now that being said, I am sure that we as a race have made the circumstances different and added to the problem and sped up the process, with all the different chemicals and air pollutants we have introduced into our environment. I do hope that scientists can come up with a viable solution”. I cannot agree with the final line. Global warming is affecting communities all over the world as we speak. Sea levels are rising and threatening the very survival of some of theMaldivesIslands, flooding is rife in low-lying countries and London has to thank the Thames Barrier to avoid Joe Strummer’s classic prediction. And a simple look at its use tells a story, it was closed four times in the 1980s, 35 times in the 1990s, and 80 times since 2000. From a personal point of view writing the series gave me great satisfaction. I have all the articles on a single file and it looks like a small book! I wrote 2 of the articles before posting the first, as Christopher suggested, and it was a very good idea. I wanted to reply to each comment and that took a lot of time, so I found it quite a strain researching while the series was running (each post took about 6-8 hours to research and write). I found all of the comments interesting, and thank everyone who took the time to post. I did not have the problem that I sometimes have of people missing the point. I do not like to express my arguments too openly and rely on a bit of intuition, and sometimes this is lacking and I find comments that express the opposite of what I wanted to convey. This was not the case during the series, and that pleases me. I can definitely recommend the experience, and will undoubtedly write another. UPDATE: Jonny has compiled a fantastic PDF publication of his series which contains every article in the series, and the responses each article got. You can view it on the blog here Can We Improve the Health of the Planet? A series by Jonny Hankins. Is cost and pollution free power already here? In this the fifth post in my series I will introduce some of the inventions that claim to produce free and/or pollution free energy. I would like to make it clear from the outset however that I do not know whether these techniques actually work. Many of them have been patented, some replicated and some demonstrated several times. Some defy the accepted laws of physics. Some have been proven false. The following examples are just a few drawn from dozens found on the internet. The patenting of machines that claim to harness energy directly from the atmosphere has a long history. At the turn of the 20th century Nikola Tesla registered several patents for inventions of this type. One particularly simple device is known as his ‘aerial device’. It is something like a large insulated sheet of metal with a capacitor and transformer attached below it. The metal plate vibrates, possibly due to static and the capacitor is charged. The transformer lowers the voltage and the current can be fed into the system. It works day and night and the size of the metal sheet determines how much power is produced. Tesla’s biography is here. As you see he was not a crank, without his work we would probably not have computers today. Tesler’s invention might be described as producing free energy, and this is certainly one aim for inventors of these types of objects. Another objective however is to build a machine that produces more power than it uses to operate it. Simple enough, I use 10 units of power to make the machine work, and the machine provides me with 11 units of output, or more. There are several machines that claim to succeed in this goal. It even tells you how easy each project is to construct, how well it is likely to work and how reliable the ideas upon which it is based are. First to free energy. 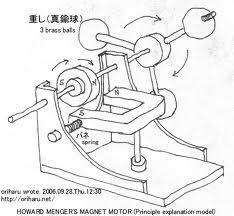 The internet is full of demonstrations of magnet motors and how to build them. This video is an example. The builders claim that using only magnets they can build a motor that spins without any external force being applied. A quick search will find plans and detailed explanations of materials needed and results expected. The only problem seems to be that the results are ‘physically unexplainable’ and many people say impossible. Are these machines fraudulent? I would love to know, because if they are not then it looks like clean electricity is possible today. Other systems involve using different types of fuel from those conventionally thought of. A current example is the claim made about recent successes in what we in the non-science world call ‘cold fusion’ and is correctly termed a low energy nuclear reaction. Early last year engineer Andrea Rossi and Physicist Sergio Focardi built a machine in Bologna Italy that they claim can produce huge amounts of power without polluting or causing radiation using only nickel as a fuel. The nickel is turned to copper during the process (proof of a nuclear reaction taking place) but only tiny amounts of fuel are used. There is however an undisclosed secret ingredient to the operation, and Rossi will not divulge his secret to anyone, including Focardi. The two demonstrated the machine on at least 2 separate occasions last year and are currently constructing a huge version for trials later this year. See this article on the Bassetti Foundation website for a fuller explanation and links to a video of their demonstration. The water powered car is another thing to look at, and has been in existence for many years. There are several videos on the Internet demonstrating converted internal combustion engines that run on water. In this video inventor Paul Pantone demonstrates his “GEET Plasma Reactor Motor”, explaining how it works and showing it running. Here we get into conspiracy territory however, as the video states that after posting the video on Youtube the inventor was arrested and denied medical therapy while under arrest. There is an implicit claim that those in authority did not want his invention to be made public, but this is not backed up by any evidence however. A related story is of the guy who invented a car that ran on water in the 1980’s. Stanley Meyer built a sort of dune buggy and the Pentagon reportedly showed interest in his invention. He died in strange circumstances however in a car park outside a restaurant in Ohio in 1998, probably poisoned. Some (as this video demonstrates), go as far as to say that he was murdered by the state but again without providing evidence, but the conspiracies abound once more. Several other sites claim that his car was then stolen along with all of his plans and technology, although there are several long videos and rediscovered tapes on Youtube in which he explains how the car works. As the photo below demonstrates, modern versions do exist today. 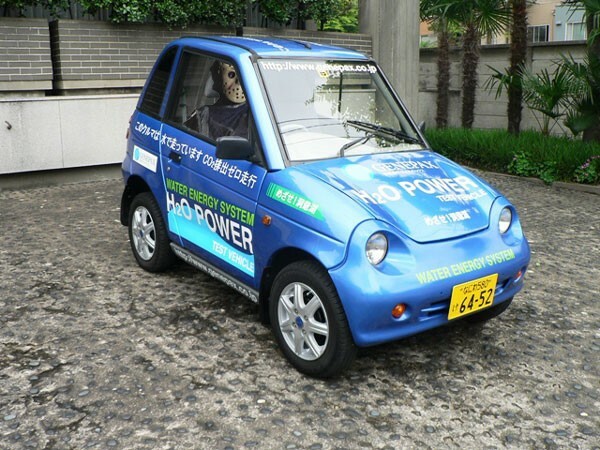 This water powered car was built in Japan, watch the video on this website. And here to the thorny matter, many of these machines are available to buy today, well the plans are at least. The Hojo motor promises free electricity for example, but at a price, and what if you buy the plans to discover that you can’t get the thing to run? This article describes how the Federal Trade Commission investigated allegedly false claims by a well-known inventor and character in this field named Denis Lee. They found that the promoters ‘are marketing a product that cannot exist and function as claimed’ and allowed complaints to be filed. Pseudo-science and marketing at its best we might say. If you want to read more about these devices the free energy website will keep you occupied for days. Chapter 16 should be your stating point. I would love to hear from anyone that has either constructed or seen any of these machines in real life. Next week I will conclude the series so speak now, of forever hold your peace!